High surf along the Southern California coast continues to create hazardous conditions and coastal flooding this weekend. 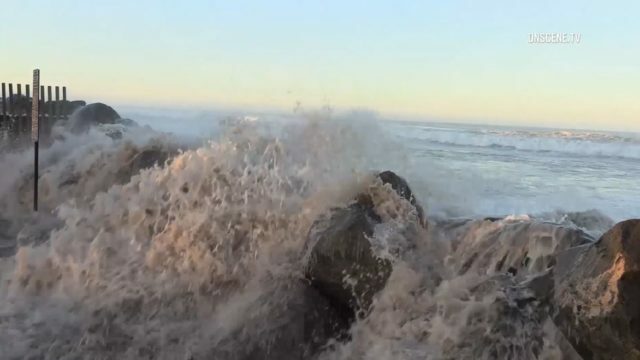 The National Weather Service office in San Diego issued a beach hazards notice for the entire shoreline from San Diego north to Los Angeles through noon on Monday. West to northwest swells were bringing an average surf of four to seven feet to local beaches, according to the weather service. The surf, combined with morning high tides near seven feet, was causing minor flooding in low-lying beach areas. The weather service specifically mentioned Cardiff, La Jolla, Mission Beach and Imperial Beach as likely to be impacted. High tide at La Jolla was set to be at 7:52 a.m. on Sunday and 8:22 a.m. on Monday. 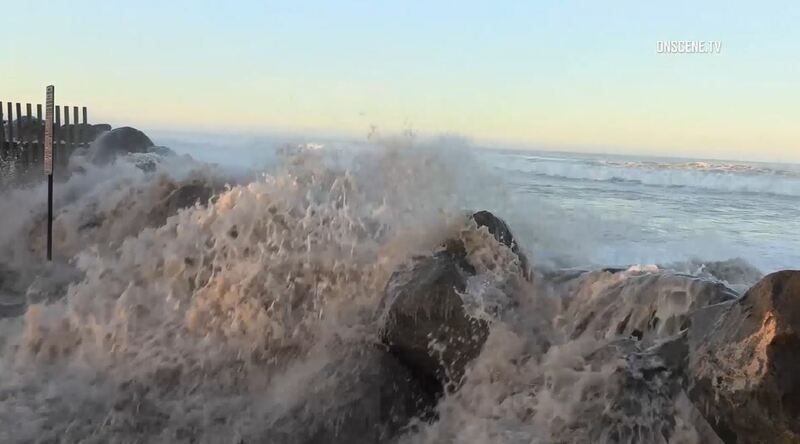 Even larger waves caused damage to the Ocean Beach Pier on Friday morning.